Now that Nintendo Switch Online has officially launched, you've got to make a real decision if you want to continue playing online multiplayer in games like Splatoon 2, Mario Kart 8 Deluxe, and ARMS. 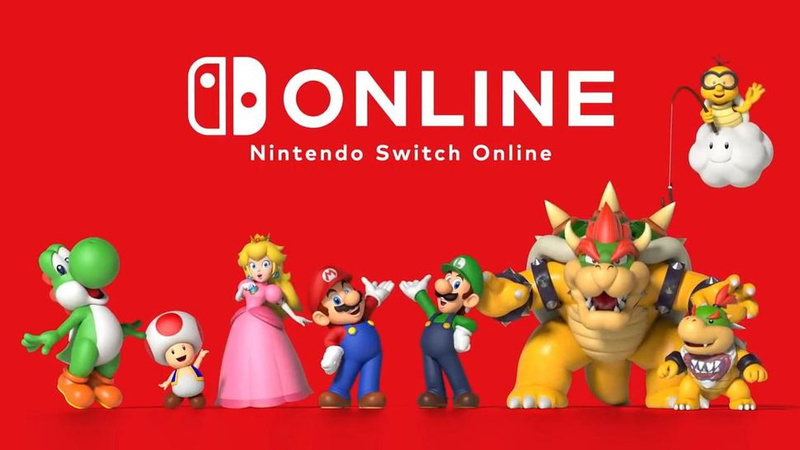 That service is no longer available for free, and requires a Nintendo Switch Online membership. Of course, you get a little more than just online multiplayer. Much like PS+ and Xbox Live Gold, the service also comes with 'free' games, special offers, and other fancy little extras like cloud saves. So it might be that online multiplayer isn't important to you, but playing Balloon Fight is. No judgement. 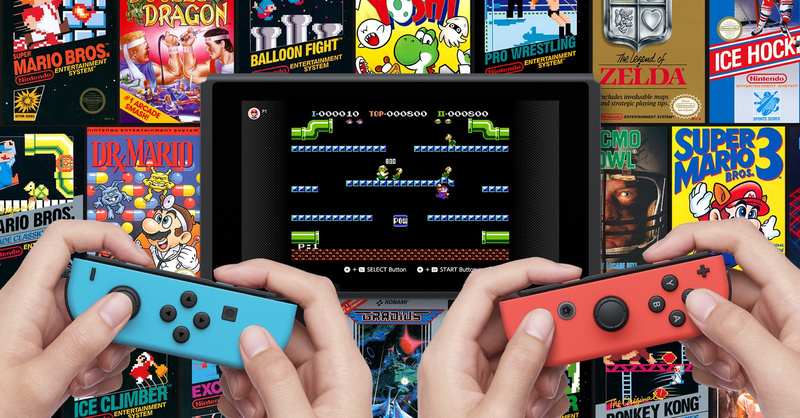 Whether you've bought Nintendo Switch Online or not, we thought we'd round up a few things that you can easily miss amongst all the Nintendo Switch Online excitement. It has a nifty few features that you have to actually dig in the internet to discover, and we're going to go into more detail about each of them below. You could argue that we've been trying Nintendo Switch Online for free since the launch of the Switch itself, but the new free trial lets you try the extras without paying a penny. That includes cloud saving, NES games, and online multiplayer. To get your hands on the free trial, simply visit the eShop after updating your system, scroll down to 'Nintendo Switch Online', and choose the option for a free trial. That's it, you're good to go. If you sign up for a Family Membership, rather than an Individual Membership, you can get Nintendo Switch Online for as little as $5 per year. That involves rounding up eight Nintendo Account holders under a single family group banner. There aren't many restrictions either – it doesn't matter where the Nintendo Account holders are globally or anything like that. We've written a guide on how to do so right here, so if you're sold on this plan (why wouldn't you be?) follow the instructions by following the link above. Here's probably the biggest open secret: you can now play your purchased games on another Nintendo Switch console. There are caveats though. For example, you can only play your games on a single Switch unit at any given time, ruling out playing multiplayer on two separate consoles under the same account. The first time you use your Nintendo Account to connect to the eShop, that Nintendo Switch console will be activated as your primary console. Following that, you can link your Nintendo Account to another Switch console, though it will have different functionality. You can visit the eShop on this secondary console and download your purchases then play them on that system. You do have to have an active internet connection to play them though. If the connection goes down, the game will pause after a certain amount of time, and you won't be able to continue playing until the internet is back up. Other Nintendo Accounts linked to that system can't play your downloadable content. That is, in a nutshell, how it works. Go give it a try. This is only for those with an annual membership. If you choose to sign up with that option, you'll receive a download code in an email that you can use to get yourself some free branded gear in Splatoon 2. The primary account holder for a Family Group will receive eight codes that they can pass on to family members, so keep pestering them until they cough up the goods. I think everyone knows that Nintendo Switch Online comes laden with 'free' NES games, but did you know that you can play certain titles against (or with) a friend online? It's easy to miss that in all of the excitement. But when you boot up the app on your Switch, you'll receive an option to play online with friends, or to play on your lonesome in single player. If you choose the former option, you can easily play with a friend in a bunch of different titles. Awesome stuff. Again, Nintendo hasn't been super clear with this, but official wireless NES controllers are on their way, allowing you to play NES games as originally intended. However, you can only purchase these if you are an active Nintendo Switch Online member, and even then it's not entirely clear how to get them. Fortunately, we're here to help you do just that. Visit the official Nintendo site and login to your Nintendo Account to pre-purchase the NES controllers. You get a bundle of two of them for $60, and they'll arrive at your doorstop in December. 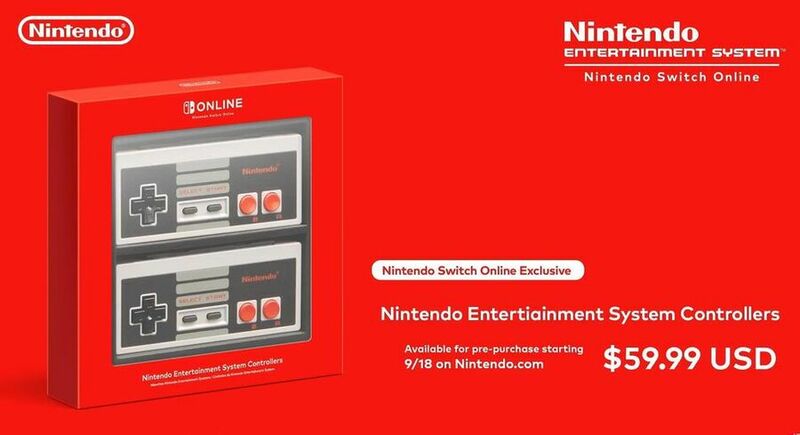 It's important to note that you can only get a single set of NES controllers per Nintendo Account, and only then if you're an active Nintendo Switch Online member. Right now, pre-purchasing is limited to North America. Hopefully that will open up to more regions soon. 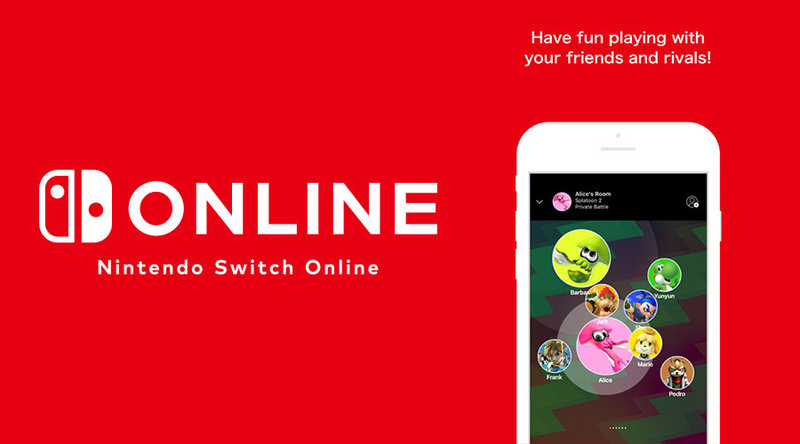 Last, but certainly not least, you can use the Nintendo Switch Online App to voice chat with your friends in a bunch of different games. Up to this point, it's been limited, with only Splatoon 2 getting any real use out of it, but that's changed with the official launch. It's highly likely that this list will grow over time too, so keep an eye on the app for a bunch more games. Have you bought Nintendo Switch Online yet? Found any neat features that you think we should know about? Let us know all about it in the comments section below. I knew all of these things. The "play your games on a friend's Switch" is news to me. This is all Buzzfeed/Upworthy bait. I'm looking forward to tomorrow: "How to get NES wireless controllers free using this one simple trick..." and "10 ways to use cloud saves you never thought of. #6 will SHOCK you!" Lot's of good content in the past few days, but some true trash that would make the Daily Mail blush, in increasing numbers. @NEStalgia AMEN - getting tired of this clickbait. On topic, they need to reveal what the “special” offers are. Voice chat in MK8D? Are you eager to HEAR what other people around the world say when hit with a blue shell? Nope still not convinced. I’m gonna hold off for a while. And why hasn’t nintendo even revealed the “special offers”? If that’s a selling point it makes no sense to not tell us if they’re trying to convince people to buy into their service. I bet Ninty is purposely waiting to reveal the special offers so they can adjust whatever it is to try and entice more people to join. If tons of people join now, then they won’t have to try hard with the offers. If they don’t get a good amount of subs they’ll likely be more inclined to make the offers more worthwhile or maybe even improve the service. @nhSnork I sure am lol. Can we not just have a VC party option along side the Gamechat, having to drop out of a party in one game to join one in another game...with the same ppl is just dumb. All of that is known. I have a feeling these ''special offers'' will depend on how popular the service is. Do enough people buy the service? Offer ljblvvlihvñjb nobody wants or needs! Is barely anyone dipping in? Quick, bring out the big guns!! ..I'm honestly almost convinced this is why Nintendo hasn't specified exactly what these offers will be. Actually the play on a friends switch thing is nice and wasn’t really talked about or detailed by Nintendo. Things we didn't know? I clicked expecting some hidden 6.0 features or something and it's the same stuff you guys literally had separate articles for recently. Still wouldn't buy If I had a choice. What I want to know is, I have 3 accounts on the Switch. Do I only need membership on one of them to play online on any of them? @NEStalgia hate to admit it but yeah man lately NL has been clickbaity as hell. @nhSnork I don't plan on getting the online service for a while if ever - - I just don't play games online that often, but man, this right here almost makes the 20 spot worth it. @PewnyPL Each account needs it's own subscription, or one family subscription covers up to 8 accounts if you add them to your Family list. Cloud saves covering 200 of 202 games I own was a huge relief. Deactivating your account on their website and playing games on any Switch was a very pleasant surprise. All in all I'm feeling pretty good today. @NEStalgia Welp, I'm boned then. All 3 accounts on my switch are different region, so I highly doubt I can use family plan on them. On PS4 regions don't matter for online play, one account has PSPlus, all accounts on the console can go online. Haven't bought it yet, but I'm gonna. Will get a family account for myself and my son, my two nephews and one of my sons friends to save his folks the hassle of maintaining it. @PewnyPL It's region safe. My Japan account is on my family plan. I think you'll be ok with the family plan! @JaxonH 202 games just on Switch? Dang, I thought I was getting impossible to top with my 153 XBox games.....but Switch has only 30 or so. All hail the king! Where's my Splatoon codes? Anyone else get theirs? Maybe add a "possibly" into that title somewhere. You'll come across less as click-bait douchebags. I started my family membership today, and was pleasantly surprised by one feature. I am American, my wife is Japanese, she is in my family group even though we have different regions associated with our profiles. After buying the family membership, I downloaded the NES Switch Online app and then, from the Japanese eshop on my wife's profile, the Famicom Switch Online app. Both work fine from any profile I've used on our Switch. It looks like the game selection is the same for both so far; it will be interesting to see if that changes down the road, and explore regional differences in some games. @jadair539 Yeah, they have done a great job allowing you to mix and match any accounts with any number of Switch consoles with a family plan.. In the end I think this online service will be pretty well set up and thought through. We all just need to familiarise ourselves with how everything works.. Ya, that's why cloud saves were so important to me. Btw, Dark Souls seems to have cloud saves! As does Dead Cells and NBA 2K! I preloaded the game and it does not have the message Splatoon 2 has about not being supported. I think we jumped the gun and about most of these games not supporting it. Splatoon 2 and Pokémon might be the only ones. Fortnight doesn't but it stores server side. Minecraft doesn't but I'm told it has its own feature for saving creations. But ya, why didn't Nintendo come out and just say "that info is wrong, Dead Cells and NBA 2K and Dark Souls ARE supported"
They could have avoided a ton of bad press. Their silence astounds me sometimes. I knew all of this. Clickbait was clickbait. And I fell for it. @Onion But harmless clickbait. Much unlike the vile crap you often see on social media. Full of lies trying to stir up trouble. Good article but terrible title... Especially when you read any article or watched any Nintendo related video recently. And according to comments, I am not the only one thinking this. I'm wondering the exact same thing. I purchased a family plan but no email with Splatoon 2 codes. @JaxonH What did you settle on after your failed sd card debacle to fit it all? Wow, I mean it never made sense those games would not have cloud saves (maybe NBA due to the heavy online aspect), but that's great news! Yeah, Nintendo sometimes makes no sense. They can do something right and then just pretend they screwed it up until the world decides it's true. Not unlike the early WiiU period where they let everyone else define their product for them. I'm actually not convinced Pokemon will be among the affected either. After learning they confirmed Smash will support cloud, and after they patched Mario Tennis to store player data server side like an online game should, it leaves Splatoon looking awfully bad right now. 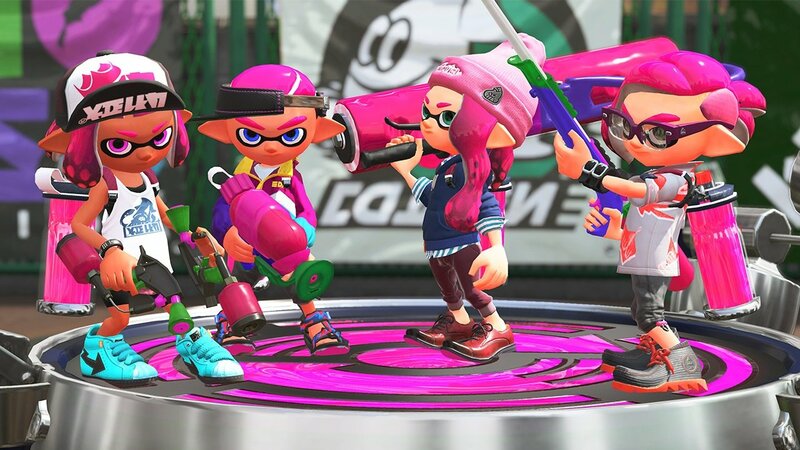 They may stick to their guns or be limited but I"m half tempted to think Splatoon will have to patch in real server-side profile saves sooner or later to save embarrassment. Even if Splatoon is forever flawed, they have a month or so now to work on a Pokemon fix before release to save some embarassment there (or maybe due to it's Go tie-ins with Niantic the online portions already store online like Fortnite? It's possible, considering it's partly plugged into the Go system which is indeed stored online.) There's hope even for those two! But even if those remain exceptions, they're thankfully looking like actual odd exceptions rather than part of standard procedure. @Heavyarms55 Clickbait is clickbat. Deceptive titles preying on specific weaknesses of human psyche and tabloid headlines may not be "harmful" like some content, but that it still destroys the integrity of any publication. Unless you actually would spend time or money on all those publications revealing exclusive photos of Elvis's alien baby? @NEStalgia I don't agree, nothing in this article is false. It's totally different than Elvis' alien babies or Pizzagate.